Stop us if you've heard this one before: "I like Marvel's movies, but they have a serious villain problem." Yes, the MCU has been accused of giving all its characterization to the heroes, leaving little room for recurring villains and truly menacing nemeses. Meanwhile, films like The Dark Knight and Sam Raimi's Spider-Man were lauded for their complex and compelling villains. In The Dark Knight's case, it was arguably at the expense of the hero's own character development, but the fact that the MCU lacks any villains on par with Heath Ledger's Joker or Willem Dafoe's Green Goblin (or Alfred Molina's Doc Ock) is often considered to be a major weakness in Marvel's slate. For this list, we're going to take a look at all 13 movies in the MCU canon, plus the two Netflix series, and rank each by the strength, motivations, and overall impact of their villains. This is Every Villain In The Marvel Cinematic Universe, Ranked By Film. Thor: The Dark World is a dissonant film which fails to balance its overblown universe-ending stakes with its surprising adeptness at lighthearted comedy. 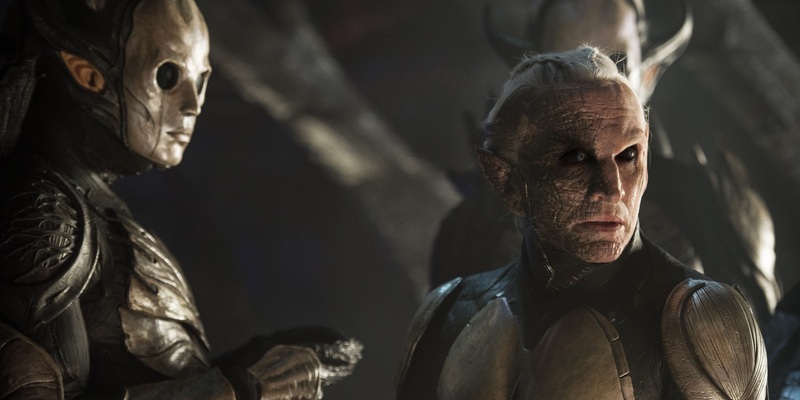 As such, Malekith the Dark Elf, despite being responsible for an unprecedented attack on the halls of Asgard and actually murdering Thor's mom, never comes across as a genuine threat; rather, he's just a plot device to enable the film's wacky buddy-comedy hijinks between Thor and his brother Loki, whose own turn as an outright villain earned itself a much more prominent spot on this list (but more on that later). More memorable than Malekith is his henchman, Kurse, an imposing bull-man who appears to be made partially out of lava. It's an intimidating design, and he even appears to successfully kill Loki at one point, though, of course, it is all just a ruse by the God of trickery. Thor: The Dark World is at its strongest when its tone of swashbuckling adventure allows for snappy dialogue and inventive action sequences. The villain of the film enables these elements, but he does not enhance them in any meaningful way. Guardians of the Galaxy, James Gunn's wild and unfiltered take on the Marvel Cinematic Universe, was one of the biggest surprises of 2014, and shockingly enough, grossed more money worldwide than fellow 2014 MCU outing, Captain America: The Winter Soldier, despite its August release date and unknown and unorthodox characters. 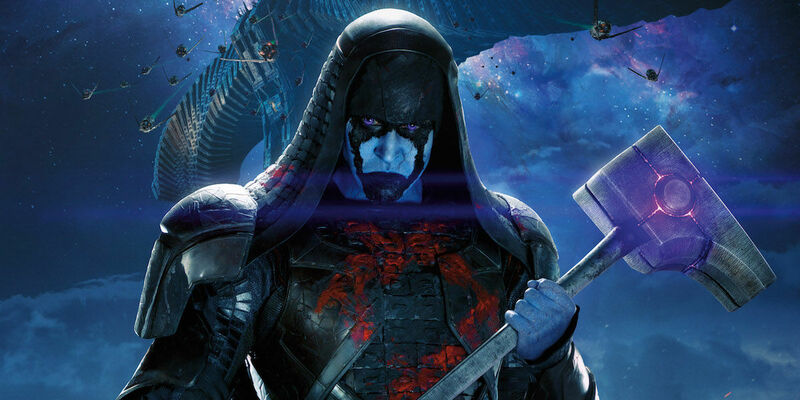 The adventures of Star-Lord, Rocket Raccoon, Groot, Drax, and Gamora became an instant classic, though their villain, Ronan The Accuser, certainly did nothing to help the film. Like Malekith, he's a rather flimsy genocidal maniac who serves to move the plot along without contributing much of his own. There's one scene in Guardians which should have been way more memorable than it ultimately was: the sequence formally introducing Josh Brolin as Thanos, the Mad Titan. Unfortunately, all he does is sit down in his fancy space chair and make empty threats at Ronan before being betrayed, at which point he disappears from the entire duration of the film. The film that started it all, 2008's Iron Man introduced the MCU to the concept of a villain who has, essentially, the exact same powers as the hero, only evil (see The Incredible Hulk, Captain America: The First Avenger, and Ant-Man). 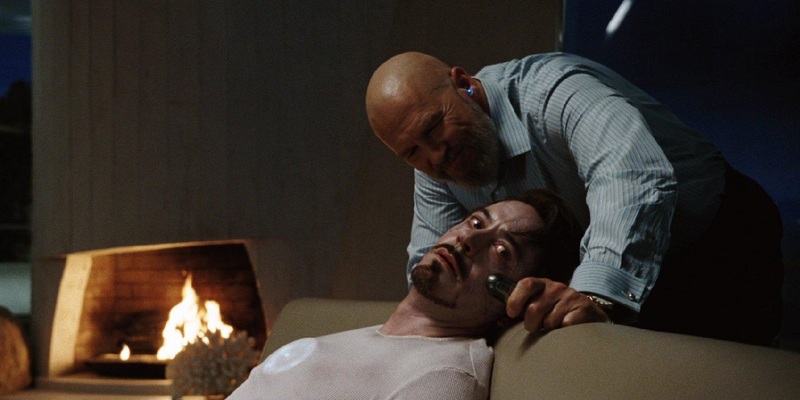 In this case, the villain is revealed to be Obadiah Stane, Tony's trusted mentor, played by Jeff Bridges. Initially, before Stane's duplicity is revealed, the villain is a lieutenant in the Ten Rings organization, Middle Eastern terrorists whom Stane had secretly paid to kidnap and murder Tony Stark so that he could take total control of the company. It's thin, but it works well enough without taking the focus off of our hero, though we must admit that we enjoyed the image of Iron Man blowing up terrorists and liberating villages in the desert more than the now-standard climactic fight scene through the Los Angeles freeway. Jeff Bridges is great as the bald and menacing Obadiah, but there's no denying that the film loses a bit of steam once his true motivations are revealed. 2010's Iron Man 2 should have earned a much higher place on this list, but Marvel had other ideas. The Stark family are uniquely compelling characters; Tony and his father Howard are both cunning industrialists who used unscrupulous tactics to scrape their way to the top. In Iron Man 2, it's stated that Howard Stark had Anton Vanko deported for espionage in the 1960s, but no evidence is presented of this duplicity. 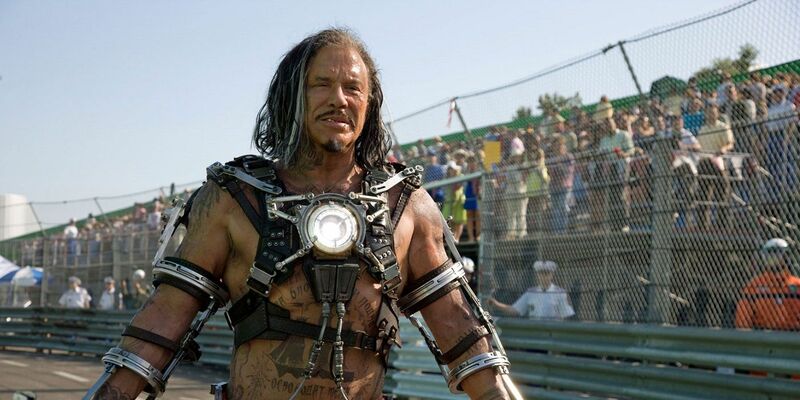 Either way, Anton's son, Ivan (Mickey Rourke), appears as a spirit of hatred and vengeance against the Starks, and it's hard to argue that, his violent acts notwithstanding, the younger Vanko has a legitimate grievance against Iron Man, whose father took sole credit for creating a world-altering technology, while Vanko's own father died in poverty in the slums. Unfortunately, many of Ivan Vanko's scenes of character development, meant to inspire sympathy for him, were cut by Marvel executives who desired a more one-dimensional villain than the complex and nuanced Vanko that Rourke had initially signed on to portray. Rourke was unhappy about the changes, calling out Marvel for their cutting his character off at the knees, and lashing out at director Jon Favreau for not standing up for his actors. He was right, too; Iron Man 2 is frequently called a lesser movie than its predecessor, and Vanko lacking in characterization is often cited as a major weakness. Whether or not Sam Rockwell's Justin Hammer makes up some of the difference or just makes things worse is for the individual viewer to decide. Like Iron Man before it, Ant-Man features, as its villain, a corporate madman with ambitions of dominating the global arms race, who pilots a more technologically advanced version of the hero's costume. 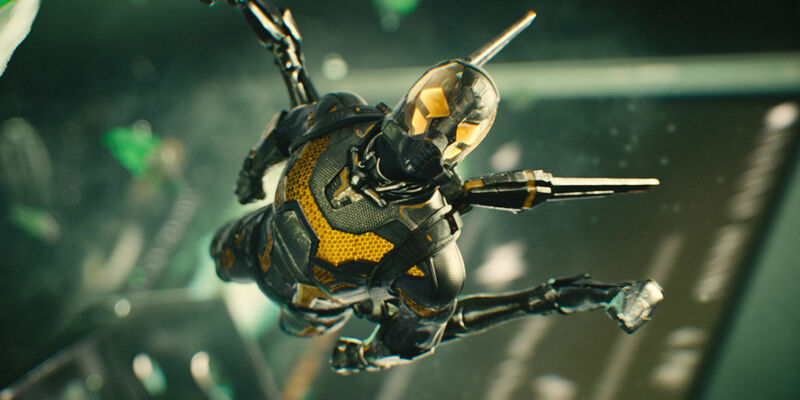 In this case, Corey Stoll (House of Cards, This is Where I Leave You) plays Darren Cross, who develops a souped up version of the Ant-Man suit, called the Yellowjacket. While Cross was likely always kind of a jerk, there's a slightly tragic element to his character; Hank Pym (Michael Douglas) says that exposure to the size-changing formula can drive one to madness. This is the reason why, in addition to his age, Hank is unwilling to don the suit himself. Cross has gone insane, and he doesn't even know it. He's doing terrible things (murder, dealing with HYDRA) without even being aware that he's crossed lines from which he can never return. He can't be saved; he can only be put down like a rabid animal. Perhaps the most underrated film in the MCU, The Incredible Hulk features Tim Roth as Emil Blonsky, who is recruited by General Ross (William Hurt, who reprised his role for Captain America: Civil War) to capture Bruce Banner (Edward Norton) alive. After being caught off-guard and eluded by Banner's Hulk form, Blonsky is given a particular serum, in imperfect version of the WWII Super Soldier serum, which gives him super strength and agility, though not without side-effects. Later, Blonsky forces Samuel Sterns (Tim Blake Nelson) to inject him with Bruce Banner's blood. 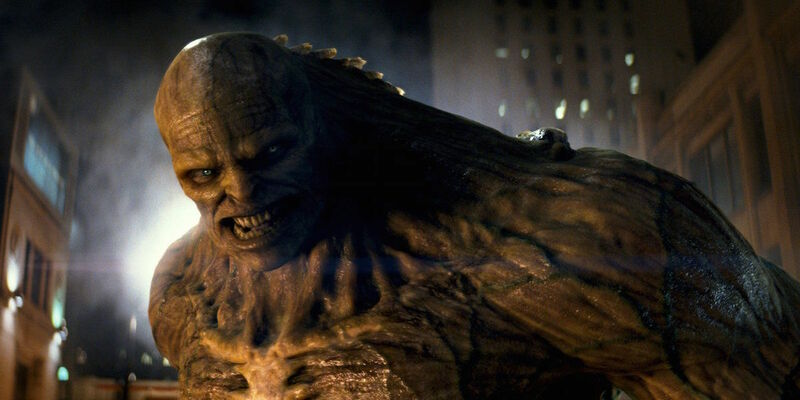 The combination of the two enhancements turns Blonsky into The Abomination, a deformed monster just as powerful as The Hulk. Blonsky is an interesting character because he embodies every human being's ultimate, inescapable fear: getting old. Blonsky is too old and out of shape to continue fighting the way he wishes to, but as a good soldier, there's nothing else he can really do with his life. Of course, he jumps at the opportunity to become a Captain America-esque super soldier, but that proves to be not enough to satisfy Blonsky's bloodlust, and he ultimately goes too far, becoming Abomination, and losing his grasp on his sanity and humanity. Meanwhile, the film teases that Tim Blake Nelson would return as The Leader in future films, but we've yet to see the character make a return appearance... maybe in Phase 6? Perhaps as a response to allegations of Marvel's "villain problem," Captain America: Civil War pits the MCU's greatest heroes against each other in a philosophical battle over whether superheroes have a moral obligations to fight every battle they can, or if they should be beholden to government oversight. Captain America believes that he can't turn away from a righteous fight just because the United Nations says so. Ironically, Tony Stark believes that superhero activity should be regulated. Behind the scenes, fueling the flames of distrust between our heroes, is Helmut Zemo. After losing his family during the Battle of Sokovia, he perhaps justifiably blames The Avengers, and manipulates events to bring our heroes into further conflict with each other, culminating in the revelation that Bucky, during his time as The Winter Soldier, murdered Tony Stark's parents, which sends Stark into a berserker rage, effectively ending The Avengers as we know them. Captain America leaves Iron Man a note at the end saying that he'll return when he's needed, but the friendly dynamic between the two characters may be lost forever. The most polarizing entry in the MCU is easily Iron Man 3. Some fans love it for its clever dialogue, unique characters, spy-thriller plotline, and inventive action sequences, while a vocal minority of online haters dislike it because they disagreed with the film's portrayal of The Mandarin. In one of the greatest plot twists ever, Ben Kingsley's character is revealed to not actually be a terrorist leader, but an actor playing a role for the true villain, Aldrich Killian, played by Guy Pearce. 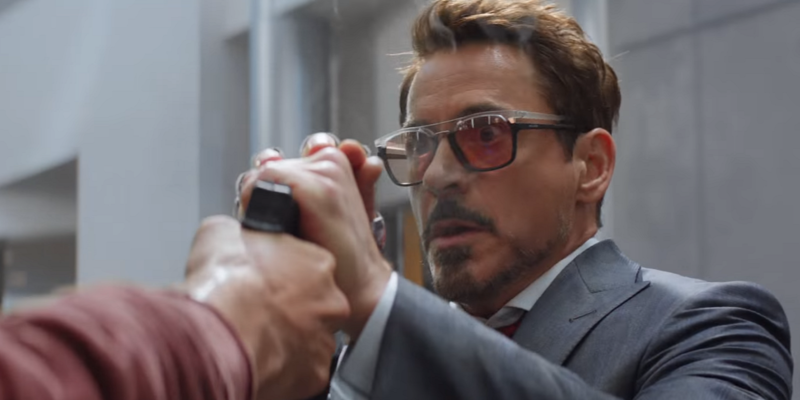 The terror group in Iron Man 3 is not the same Ten Rings as in the first Iron Man film, and The Mandarin is nothing but a fake, so that Killian can play both sides in the "War on Terror." It's a provocative storyline, and the fact that people are still fighting about it three years later is proof that Shane Black knows how to craft an effective plot twist. Meanwhile, the foot soliders of the film, Extremis-enhanced army veterans, are the most intimidating henchmen in the MCU, their ice-cool demeanor providing contrast to their flame-based powers and Terminator-esque determination to kill Tony Stark and his allies. "We create the thing we dread," says Ultron, referring to his own birth at the hands of mad scientist Tony Stark and his accomplice, Bruce Banner. Tony wanted to create a "suit of armor around the world," a sentient AI that would protect the planet from alien invasion, but Ultron, the end result, immediately deduced that humans, with our endless wars and disregard for the planet on which we live, are the main problem with the Earth. He's not wrong, but we at Screen Rant cannot condone any plan that calls for global extinction. 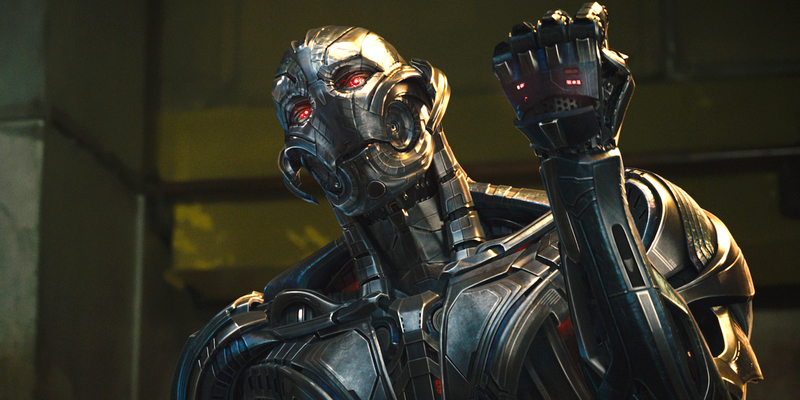 James Spader is excellent as the genocidal robot, and the motion capture work is impressive enough that Ultron in motion is plainly recognizable as Spader, even when the character is not speaking. Ultron may appear to be in the same vein as boring genocidal villains like Malakith and Ronan, but Joss Whedon writes the character with many layers of subtext. Avengers: Age of Ultron is a huge movie, with tons of characters and a veritable multitude of plotines. It's one of those films whose themes become clearer and resonate more strongly upon subsequent viewings. To an extent, it's a weakness that the film can't be completely consumed in one viewing, but it's also one of its biggest strengths. Thor is often overlooked in the MCU and its grandest of scales, which is a shame, since Kenneth Branagh's entry into Marvel's canon is full of unique characters, strong acting, and tremendously imaginative production design; as much as we enjoy the Game of Thrones vibe of The Dark World, we'll always have a soft spot for the metallic grandeur of this movie. Thor, of course, is also the film which introduced audiences to Tom Hiddleston's version of Loki, Thor's younger brother who is secretly a Frost Giant. Loki's character is as strong as Ivan Vanko should have been in Iron Man 2, a villain who has been slighted and demands retribution. Loki would be wholly justified in his cause if only he weren't trying to kill his own brother, his former friends, and destroy the entire Frost Giant race. In the end, Loki refuses to be captured, opting to fall into the vast reaches of space and float away for all eternity... or at least until he returns, with a nihilistic vengeance, in The Avengers. More on that in a bit. Fans have been clamoring for Hugo Weaving to return as Red Skull ever since he first lit up the screen in Captain America: The First Avenger. Red Skull (Hugo Weaving) is a Nazi who was exposed to an imperfect version of Dr. Erskine's (Stanley Tucci) Super Soldier serum. Although it was successful in enhancing his strength and agility, it also left him deformed, hence his demonic visage and appropriate namesake. Nazis are the ultimate historical villains, so, naturally, Red Skull earns his spot on this list for being too evil even for Hitler. HYDRA is essentially a group of extremist Nazis, and Red Skull is their Fuhrer. It's hard to get more evil than that. Red Skull's final fate is left ambiguous, as he is consumed by the Tesseract; is he disintegrated, or is he transported to another realm? Hugo Weaving has expressed reluctance at returning to the role of the ultimate Nazi, but the character has so much potential, and Weaving has such a commanding presence, Red Skull simply needs to return to the MCU at some point down the road. Marvel's second Netflix Original Series, Jessica Jones, was more a psychological thriller than it was a superhero show. However, the central conflict of the show was one of the most personal battles between a superhero and their villain we've ever seen: the battle of wills between Jessica Jones and her nemesis, Kilgrave - known to comic fans as The Purple Man. 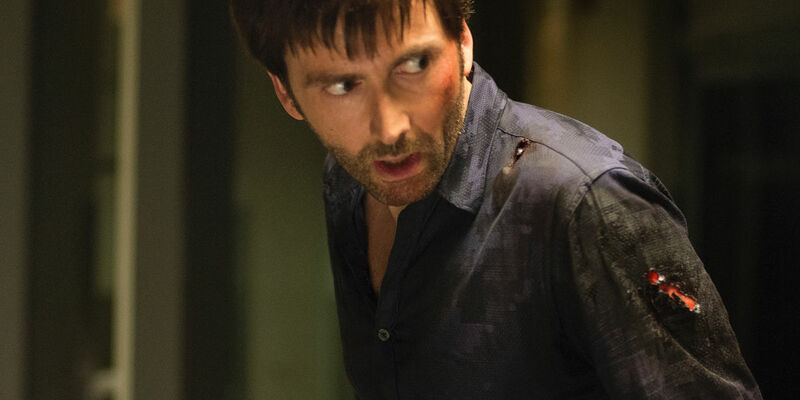 David Tennant is downright vicious as the villain, and Jessica's struggle with him is essentially an escape from a physically and emotionally abusive relationship. He casts a long shadow from which Krysten Ritter's title character must struggle to escape. His frightening power - using his voice to bend people to his will - is used in the most selfish and cruel ways imaginable. Jessica Jones is a surprisingly violent series, and some may argue that it crosses into bad taste with some of its more graphic content. Still, the dark tone of the series ensures that nobody is safe; when Kilgrave is out for blood, as he often is, someone, somewhere, is going to bleed. Just how much more we'll be seeing of this deranged madman, however, remains to be seen. 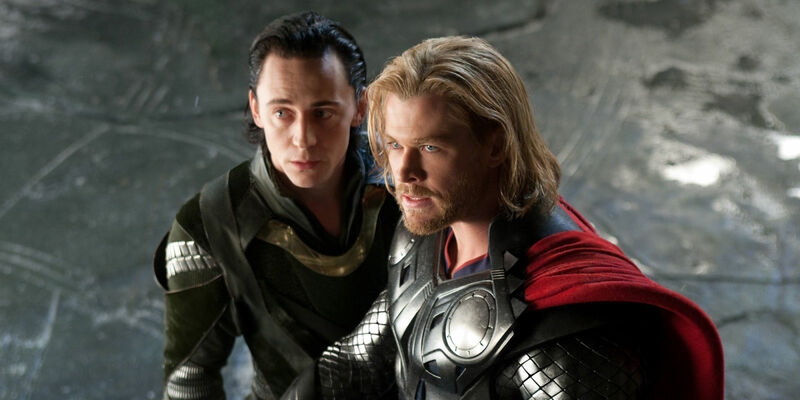 When Marvel's greatest heroes finally teamed up to form The Avengers, the threat they faced was none other than Loki, who had previously been bested by his brother in Thor. 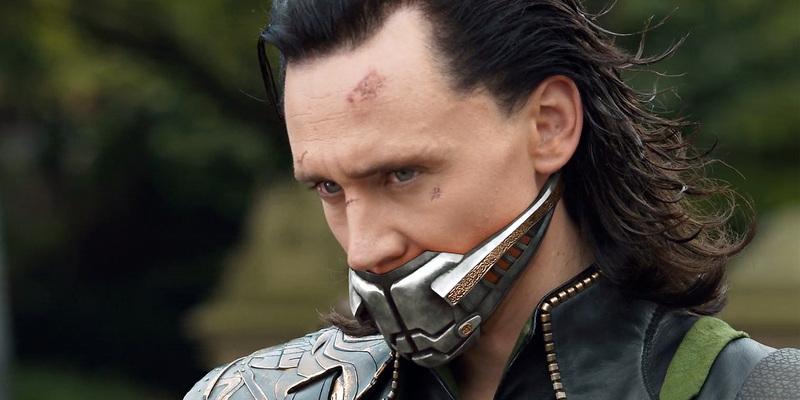 However, this time, Loki was at the head of an army provided by a mysterious benefactor, one unknown to The Avengers. This mystery man was later revealed to the audience as Thanos, the ultimate threat who will surely do battle with Captain America and company in the upcoming Avengers: Infinity War. Loki's time in space, the details of which have never really been revealed, left him changed; he's more bitter, spiteful, and has even less regard for human life than before. He has a personal connection to Thor, and also acts as a herald for Thanos, setting the stage for the Mad Titan's eventual proper debut. Meanwhile, Loki's army doesn't do much beyond serve as cannon fodder for The Avengers to look supremely cool while kicking their butts during the climactic battle, but his ability to use his staff to brainwash others (not unlike Kilgrave, now that we think of it) turns Avengers allies Hawkeye and Dr. Selvig against their friends. Still, he's nothing that The Hulk can't utterly demolish with his bare hands. Vincent D'Onofrio is a beloved character actor, with a twist. He doesn't have a specific character type with which he specializes; he can disappear into just about any role. 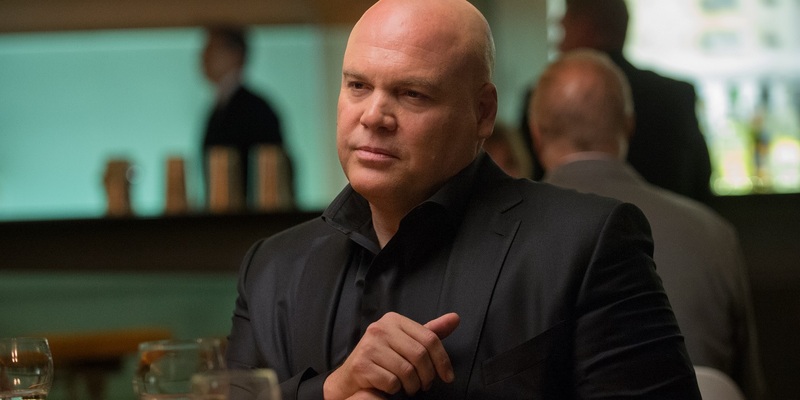 In Daredevil, he plays Wilson Fisk, the Kingpin of organized crime in Hell's Kitchen, a ruthless man who aims to put New York City under his iron-fisted rule. Netflix's version of Kingpin isn't quite as comically overweight as his comic book counterpart, though he certainly fills out his suits with barrel-chested gravitas. His voice is a booming cacophony, even when whispering, and he can explode into murderous rage at the slightest provocation. We all remember that scene early in Daredevil's first season, in which he smashes a Russian gangster's head into red mush by repeatedly slamming it with a car door. For some, that sequence was either too brutally violent, or just too over-the-top. At the very least, it scared the little kids away from the Netflix side of the MCU. For the rest of us, however, it was 100% true to the character and a sign that the street-level heroes and villains of the MCU were in a whole other ballpark of comic book grittiness than their big-screen brethren. Can anything in the MCU match the overwhelming sense of dread that pours through the audience every time The Winter Soldier pops up in the second Captain America solo film? The brainwashed super soldier is actually Steve Rogers's best friend, Bucky, which doesn't stop him from trying to to kill his former buddy. As much as a bona fide threat Nu-Bucky is, he's just a tool, trained and conditioned for assassination by Hydra, who presumably stole or bought him from the Soviet Union. 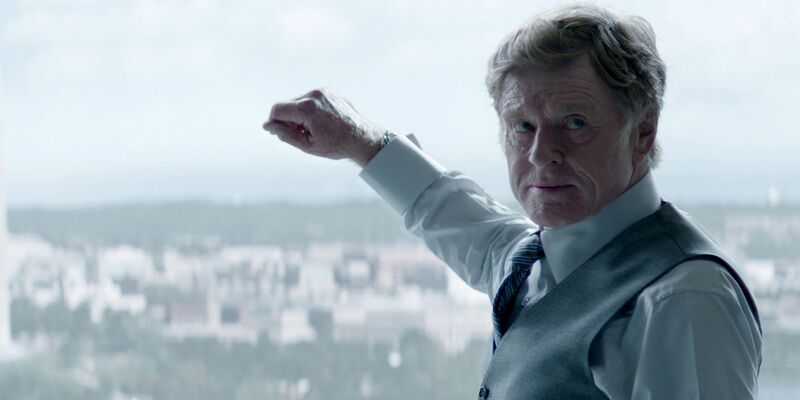 The head of Hydra turns out to be none other than Alexander Pierce, one of the leaders of S.H.I.E.L.D., played by the great Robert Redford. Captain America: The Winter Soldier is a story about conflicting ideologies, about the differences between freedom and fascism, and how powerful people can kill millions of innocents while shirking the responsibility through the belief that they are serving a higher cause. Even though it's a comic book universe with eighty-year-old super soldiers and flying aircraft carriers, The Winter Soldier is a tremendous film because its villains are scarily human, and the conflicts are relevant to our own real-life struggles between freedom and order. Outraged that Loki wasn't numero uno? Did we pass over your favorite MCU baddie? Let us know in the comments.